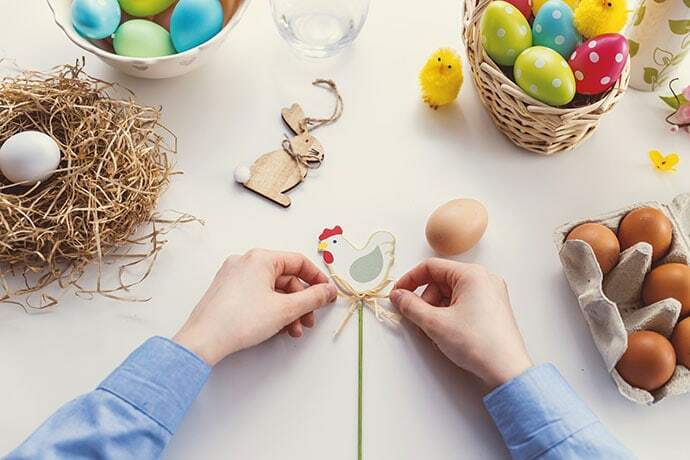 There’s something about Easter that brings the crafty side out of everyone, even those that may not enjoy crafting at other times of the year. 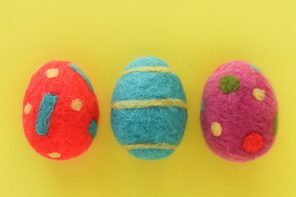 Maybe it’s the nostalgia of making Easter bonnets for a parade as a child, or decorating eggs with a loved one. 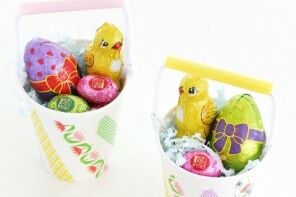 Or maybe it’s just that whoever volunteers to put the Easter hampers together for the school raffle can sneak a stray chocolate egg or two with their morning tea! No matter what the reason, I’m all for it. 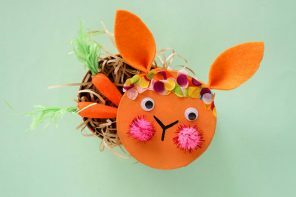 Bring on Easter and let’s get crafting! 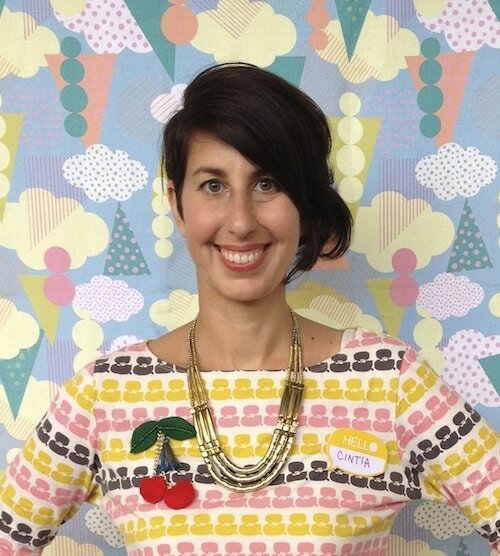 I love checking out what you’ve bought and imagining the awesome things you are crafting. 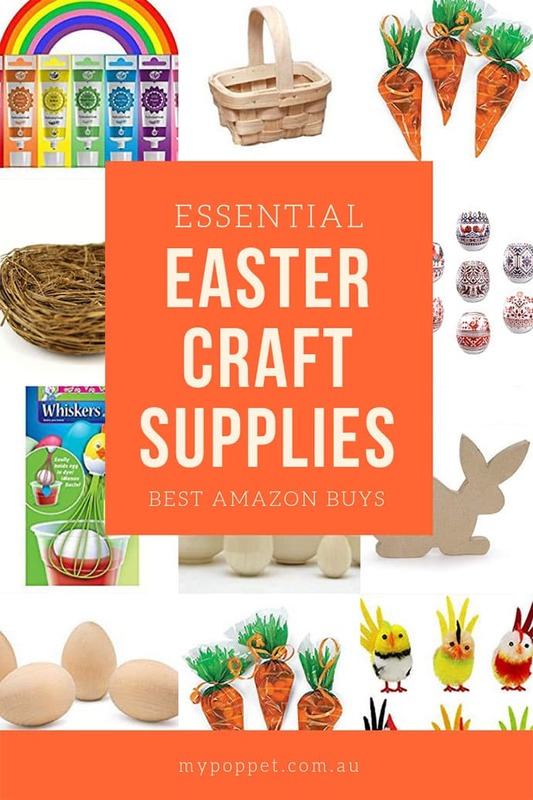 So inspired by what’s trending I’ve put together an essential list of the Best Easter Craft Supplies on Amazon to get your Easter crafting started. 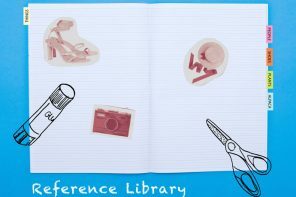 I also added project ideas and suggestions for ways to use your Easter craft supplies in the descriptions. 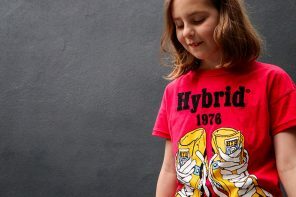 Sadly these products are only available to US buyers as Amazon.com won’t ship to Australia anymore – I’m still upset about all the hard-to-get supplies that I no longer have access to. But if you live in the United States, you’ll love this list I’ve put together. 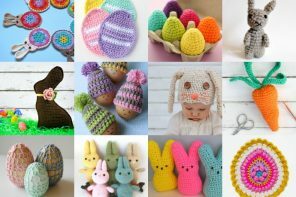 Easter is a fantastic time of year to get your craft on! 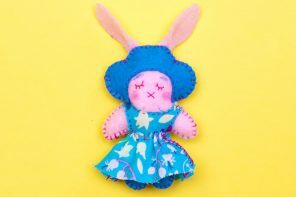 You don't need expensive craft supplies to make interesting and unique Easter craft projects and gifts. 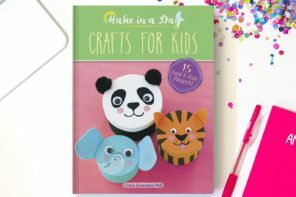 I've rounded up my favourite Easter craft supplies found on Amazon (US) to get your creativity flowing. Click on the 'Continue reading' buttons to take you to the products - Affiliate links. 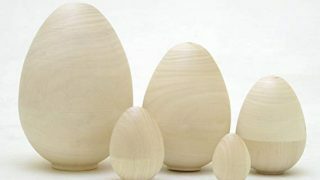 These wooden eggs look great plain if you like a minimalist look, or go ahead and decorate with paint or markers. 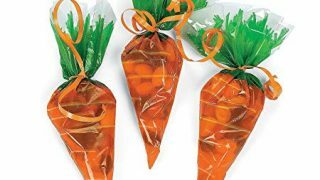 What a fun way to package Easter treats. Fill with jelly beans, or chocolate coated nuts. 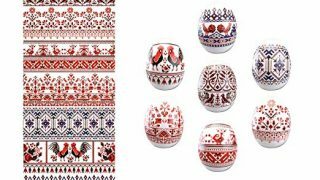 Pysanka egg designs are beautiful but require lots of skill to master. 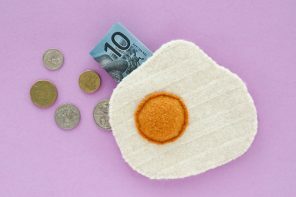 You can cheat and get a similar effect with these heat shrink egg wraps. 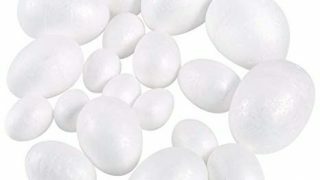 Use on wooden eggs or boiled eggs. 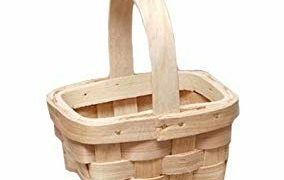 Fill these little baskets with chocolate eggs or baked treats. 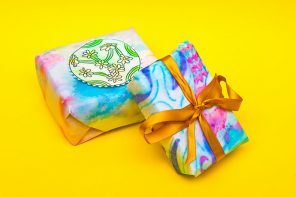 Their mini size makes them perfect for party favors. 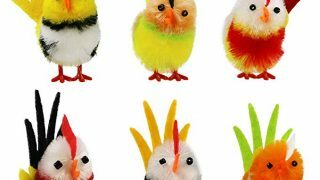 I have fond memories of playing with similar little fluffy chickens as a child. 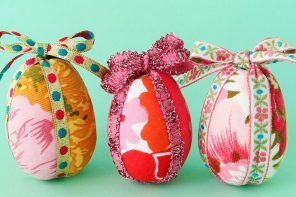 They are great for decorating Easter bonnets, just add them to the brim of a straw hat for instant cheer. 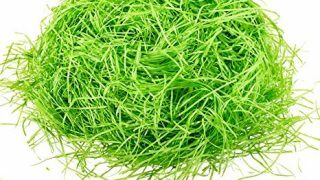 Shredded paper is a must for lining Easter baskets and adding to hampers. Along with looking good, these eggs are great for hiding surprise treats inside. 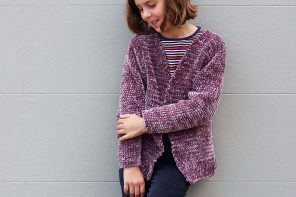 Perfect for non-chocolate gifts this Easter. 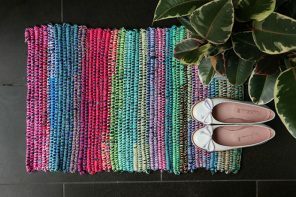 Decorate with paint or markers. 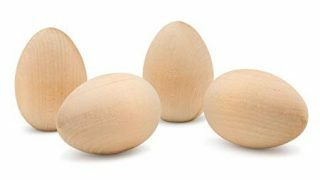 Blank Nesting Easter Eggs 5pc. 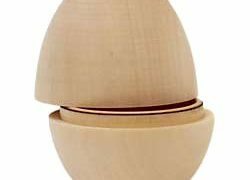 Take your wooden egg decorating to the next level with this set of nesting eggs. 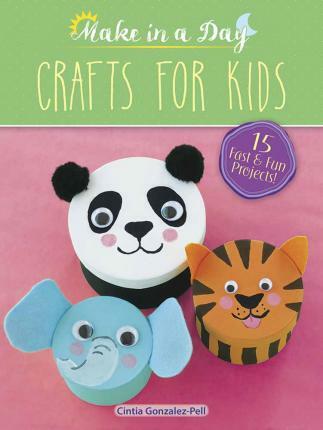 Kids will love playing with them year round. 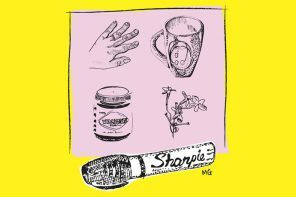 Great for Easter craft projects that need to be unbreakable. 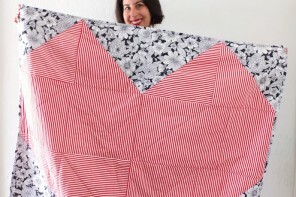 Try projects like covering in fabric, decoupage or felt. 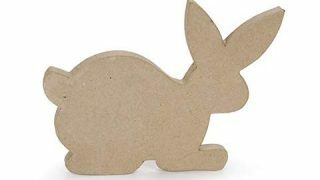 Paper Mache blank shapes are great for all sorts of Easter craft projects. 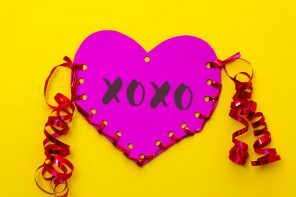 Decorate several in co-coordinating scrapbook papers for an inexpensive table centerpiece. 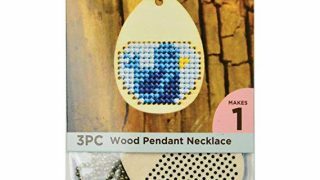 A great stand-alone Easter gift for a crafty friend, or cross-stitch with your own unique design. All those beautifully decorated eggs need an equally beautiful way to be displayed. 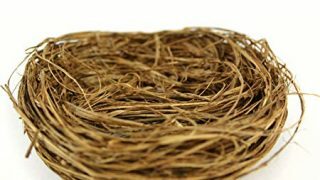 This nest would make a perfect egg holder and talking point. 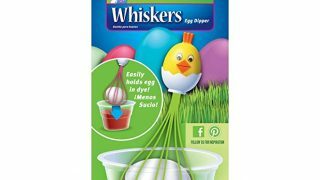 Make your egg dying a whole lot easier and hopefully mess free with this handy egg dipping tool. 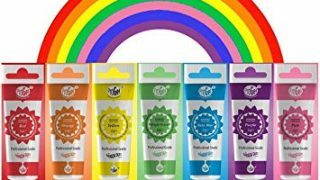 Gel food colouring produces vibrant colours which are safe to handle. Not only just for boiled eggs, try dip dying your wooden eggs for an interesting effect. 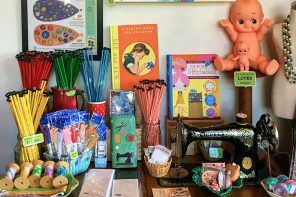 Are you making Easter Baskets, Dying Eggs or just planning on eating lots of chocolate this Easter? I love Easter! I’m excited to get to do all these cool things with my 2 year old. 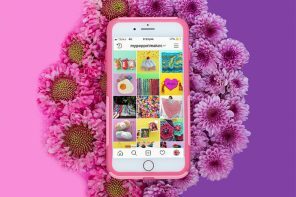 Thanks for the great list – I think I might buy that nest! That nest is so sweet!